Let’s face it: As time goes on, there’s more and more you don’t know about your dryer system. Especially if your dryer is more than five years old, there’s a good chance a lot of your internal dryer knowledge has naturally been lost to promotions or regular old attrition. We want to change all that. That’s why we’ve come up with the Uzelac Dryer Audit, by popular demand. 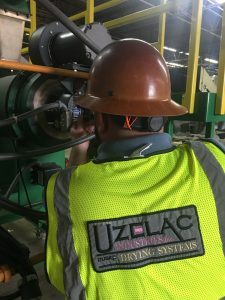 Our goal with the Uzelac Dryer Audit service is to help you run your current dryer system even better, and to find the problems before they become “real” problems. We start by sending our engineers out to inspect the overall condition of your drying system, evaluating your current operating conditions against your dryer’s intended parameters. We report on airflow, temperatures, feed systems, mechanical equipment and more. You will receive a thorough inspection document including photos and recommendations. 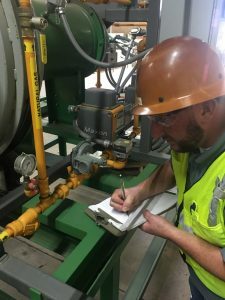 Then, we work with your operations staff to help assess any operational problems they’re currently having and find out their suggestions for changes and upgrades. Our goal is to work together to pinpoint where there’s room to run the dryers more efficiently, saving time, money and frustration. There’s no better way to get a complete overview of your dryer operation. Auditing your current dryer system is the first step to maintaining its longevity and keeping it running in high-performing tip-top condition.